I don’t have to do much convincing here really. The title alone should remind you of being young and begging your mother to buy this fancy breakfast food in lieu of cheaper cereal. You stood over the toaster, waiting for the treats to warm up and pop. Your glass of ice cold milk stood prepared to wash it all down. It was awesome. I don’t see the point in giving up something that you enjoyed so much as a child. Just because you are a grown up geek now doesn’t mean that you have to let go of everything that made your childhood great. (We’ll get to the cartoons in a future post I promise.) 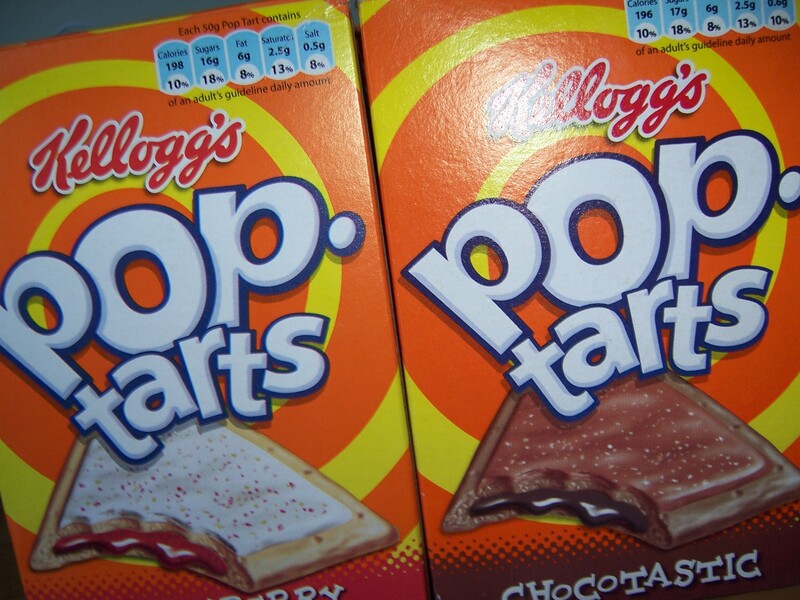 I recently rediscovered Pop tarts and in a strange sort of way they suit my life much better now. I got fling them in the toaster and then run out of the door with them in hand, keeping my digits warm while I munch on them. Pop Tarts always were, and remain awesome. Treat yourself to your preferred flavour and re-live the glory days. This entry was posted in Food and tagged Breakfast, Chocolate, Milk, Pop Tarts, Strawberry, Toaster, Treat by Jonathan Day. Bookmark the permalink.